Chambers and Partners distinguishes lawyer Antonia Magdaleno as “excellent” in Bankruptcy. 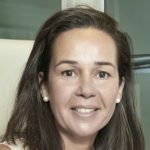 Chambers and Partners, one of the most influential legal directories international , has distinguished Antonia Magdaleno as one of the most outstanding professionals in Spain in the area of Bankruptcy law (Restructuring/Insolvency) in its European Edition of 2013. Chambers and Partners conducts surveys each year to lawyers and clients to determine the most important professionals in the different fields of law in their respective countries. This is the 3rd mention of Antonia Magdaleno, which was included in the guidelines of 2011 and 2012 provided within the area of Restructuring / Insolvency, although this time he ranking has risen by placing it in the so called Band 2.